Welcome to Kayla Makes! 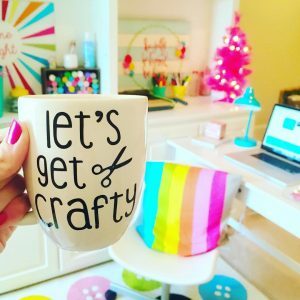 Today’s post is a peek inside my crafty space. My craft room is easily my favorite room in the house. It’s the place I take off running to whenever I have a moment of free time! This space is on the third floor of our home and the shelving you see is a set of built-ins that were installed to create a “mother-in-law suite”. They’re great for storing all of my crafty things. 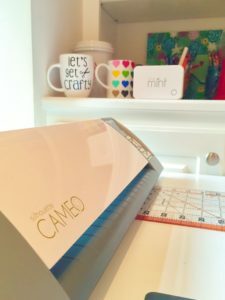 My Silhouette CAMEO’s are the most used items in my craft room. I have both the old CAMEO and the newer version and also the new Silhouette Mint! If you’re on the fence about purchasing a Silhouette machine, hop right off and make that purchase! It’s worth it, promise. 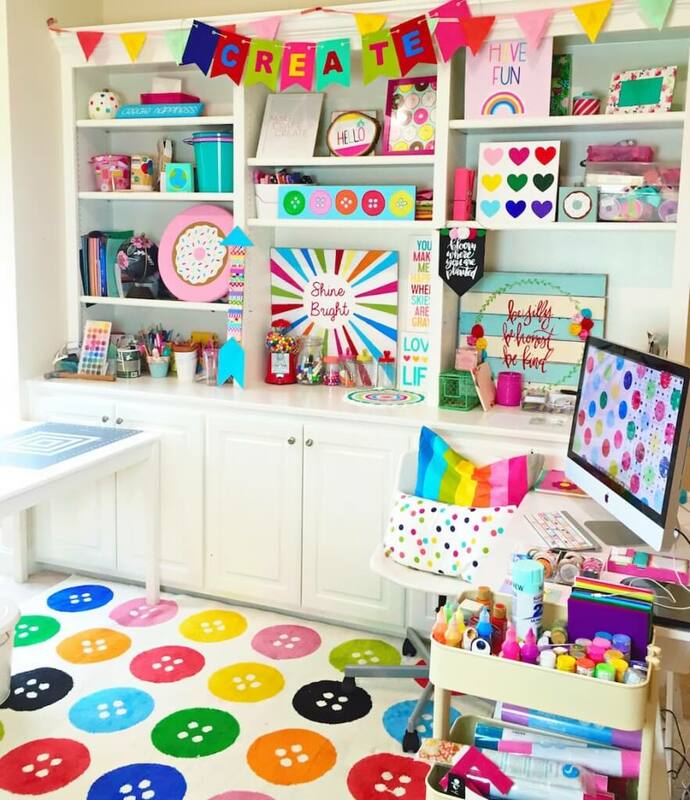 If you follow me on Instagram then you know I use my rainbowtized craft room as a background for many of my photos. I kind of can’t resist. 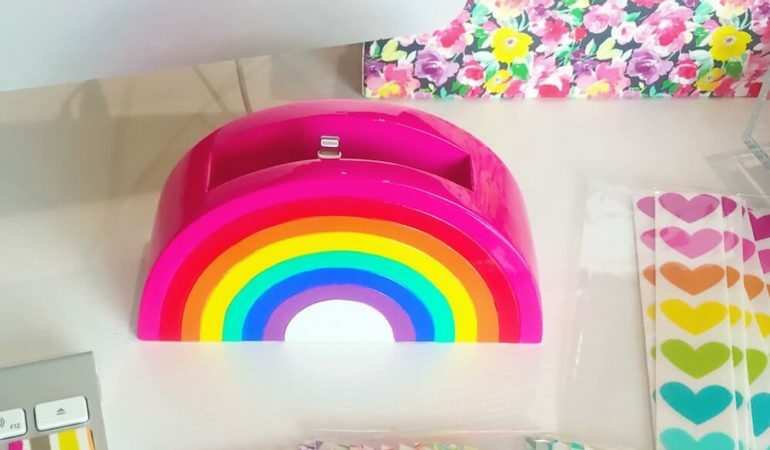 I mean, who can resist rainbows and a twinkly pink tree!? Not this girl. Ohhhhh sketch pens… Aren’t they pretty! If you have a Silhouette machine then sketch pens are a must. 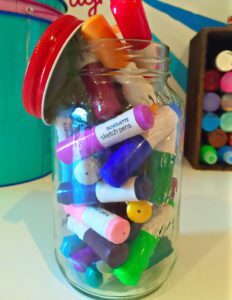 Trust me, you need these in your crafty life. I use mine to address envelopes and I’ve even written an entire letter in them! My desk is the one area of my craft room that I don’t actually craft on. I have a large counter height craft table on the wall (not pictured) and also the lower craft table that you see in the first photo. So, I typically just use my desk for coffee drinking and creating designs in Silhouette Studio. 8 Comments on "Craft Room"
Thanks lady!! You’re going to love it!! 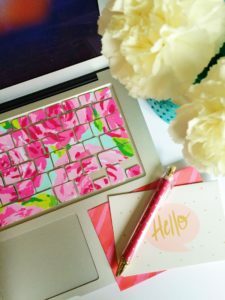 I found your site through your Instagram feed and I adore your Blog. I would love to use your file weekends got me like zzz but I can not get it to load into Cricut Desins Space. I was able to get the other two files.